Importer of USED & NEW Machines. We supply machines like CNC,VMC,HMC,Gear,Boring,Drilling,Milling and others... in running condtion with functional trail at our warehouse. We have 16 years of experience in the sphere of supplying, wholesaling and retailing CNC Machines, Boring Machines, Drilling Machines, Gear Machines, Milling Machines and Other Products. Manufactured in compliance with defined industry standards, these machines have a long working life and are a cost effective alternative to brand new machinery. We have a wide distribution network that enables us to supply these machines to clients within specified time frame. While procuring the aforementioned machines, we make sure that these are functioning properly. After procuring, we conduct various tests on the machines, which include heat marking test, tensile strength test, and hydraulic test. 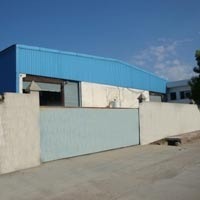 These tests ensure that the supplied machine is flawless and excellent in quality. Easy to use controls and less maintenance have made our machines an ideal choice for the automobile and engineering industries. Our strict adherence to quality norms and client centric approach have enabled us to become the preferred choice of the clients.